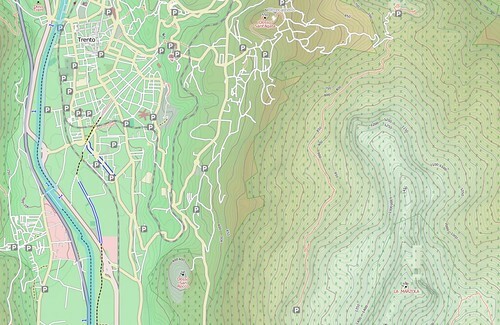 Last week, in amongst a bit of a hosting problem, hill colouring went live on the cycle map. And it looks awesome! Having something more pleasing than a flat grey background really helps put flesh on the skeleton of the contour lines, but it means that some stuff needs tweaking to fit. You can see the lovely new forest and wood styles on the image below – my very own forest pattern symbol, with a subtle green tinge and a solid border. 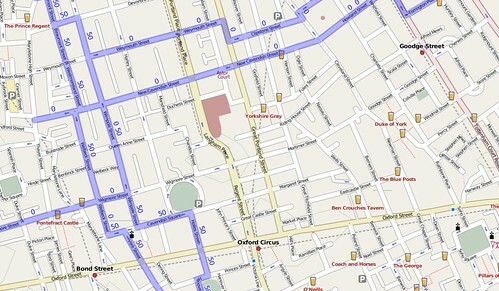 The same area before can be found (here). But wait, that’s not all. Maybe your area doesn’t have any signed cycle routes and no cycle paths either. Or maybe you’ve got both, and also want cycle lanes marked. 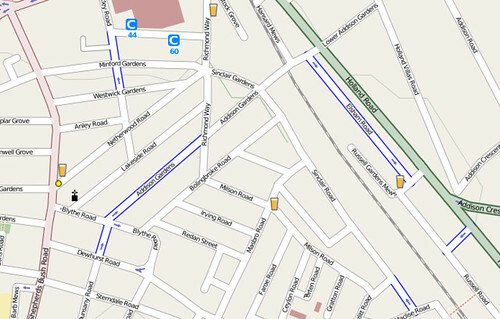 A nice little bit of blue casing on either side of the road shows which streets have cycle lanes. … which are probably a better idea than going to a pub. But what’s better than going to a pub for a nice refreshing beer? Well a pub with free wifi, of course! 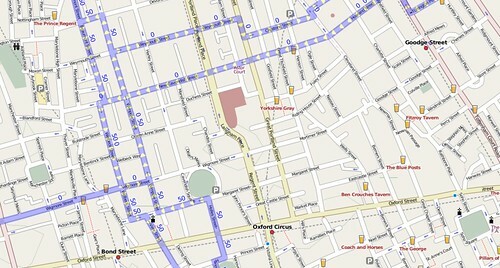 And there’s been a million and one places added to the cycle map too, but far, far too many for me to list here. Enjoy! 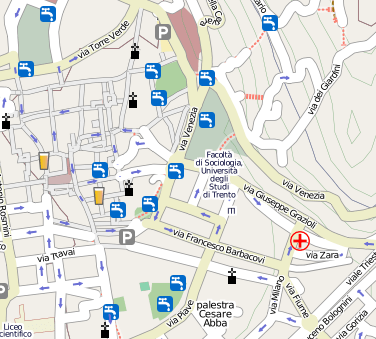 This entry was posted in Uncategorized and tagged OpenStreetMap on August 17, 2008 by Andy.